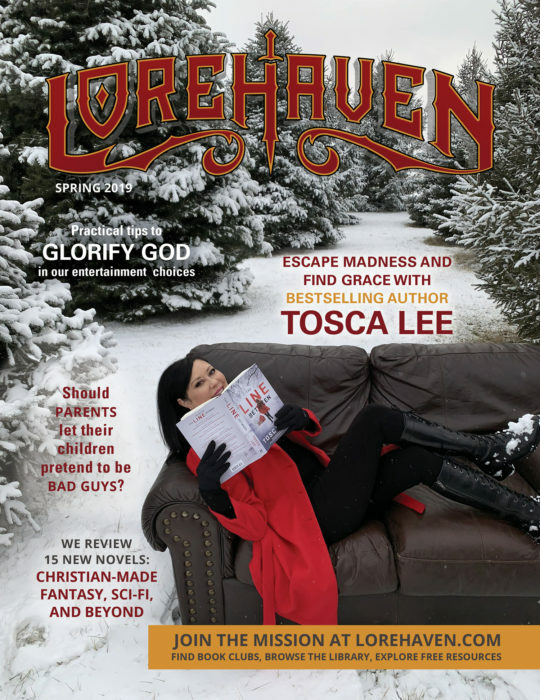 Tomorrow, Lorehaven Magazine’s new issue reviews Tosca Lee’s “The Line Between” and other novels by fantastical Christian authors. Last month I said that Tosca Lee’s latest novel, The Line Between, was already great and you should definitely read it. 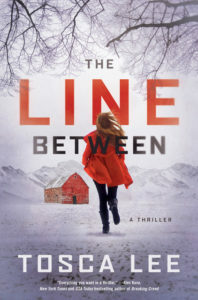 Lee mixes chilling, cracking suspense with thoughtful character growth, as readers follow Wynter’s frightening present while also recalling her perma-frosted past. 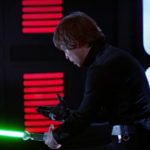 Each character leaps from the page, pressed by experienced storytelling hands. . . . Truth glimpses give The Line Between surprising heart-warmth amongst the chill, while its road-trip quest drives fast through mad territory and never once feels bogged down in snowbanks. Even by the finale, we get hints that our heroes have learned that yes, sometimes you must stay preserved from a world gone mad, but for the greater mission of helping others in that world. You should also read the next Lorehaven issue. It releases tomorrow to free subscribers, and includes the full The Line Between review. 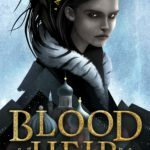 Plus you’ll get the cover story with Lee, and reviews of fourteen other good or great fantastical-genre novels by Christian authors. By the way, Tosca Lee will award two copies of The Line Between to two Lorehaven Magazine readers. Soon we’ll announce this contest. 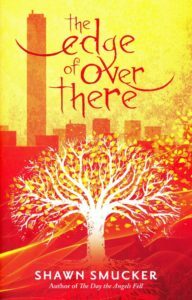 With The Edge of Over There—sequel to The Day the Angels Fell—Shawn Smucker unveils a masterwork of lyrical grandeur. . . . In the tradition of Perelandra and A Wrinkle in Time, this story cracks the spacetime doorway to reveal a reality far richer than the world we know. [Bailey] Davenport has assembled a cast of characters who genuinely care for each other despite disagreements and hardships. Overall, Eilinland: Through the Wall serves a light, entertaining read, with good thematic substance to accompany the fun. 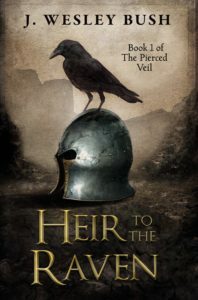 J. Wesley Bush’s Heir to the Raven deftly creates classic high fantasy. 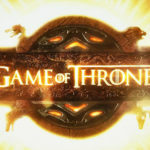 Its large array of characters tread disparate paths, nations and armies tangle together, and abundant detail builds up the world’s complexity without cluttering the story. 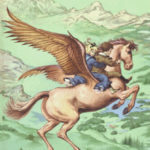 [Lindsay A. Franklin’s The Story Peddler] spins a perfect array of delightful characters living with complex magical abilities in a truly unique world. Its adventure, political mayhem, and just a touch of romance reach into the hearts of creatives whom God has gifted to use their talents to serve others. Download Lorehaven‘s spring 2019 issues, and get access to all four 2018 issues, exclusively at the website’s free subscriber side.